So, I celebrated 3 years of blogging last week. 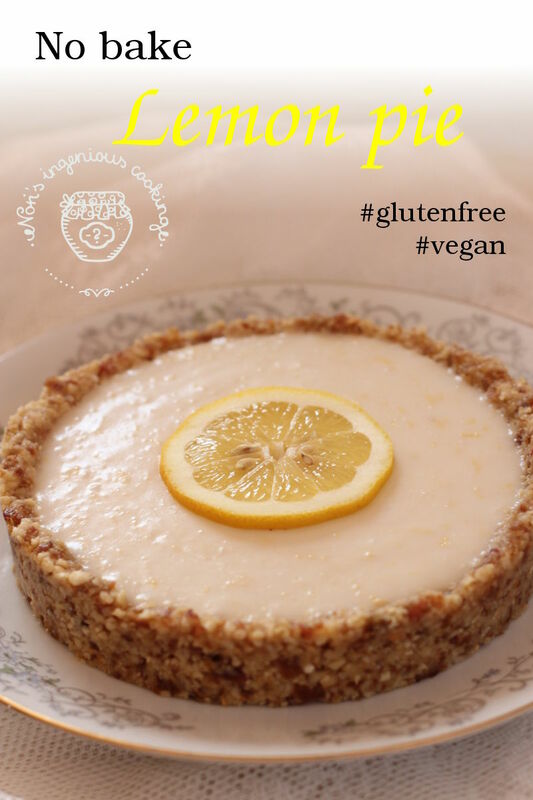 🙂 I know, I started writing in English only a year ago, but still, I thought I’d share this little news alongside a piece of lemon pie. The cakes and pies usually turn really dark with chocolate under my hands, and I wished for something new and refreshing this time. 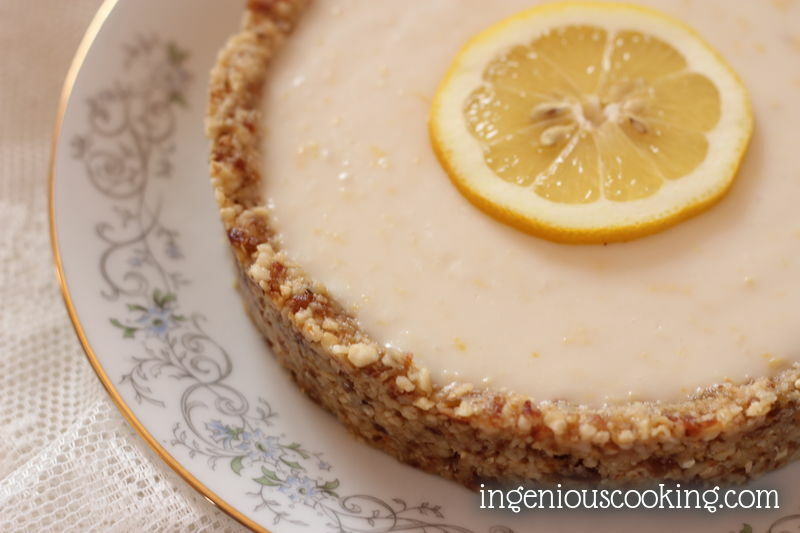 Lemons are in season, so here we go: no bake lemon pie. No wonder I felt like celebrating. Then again: little baby girl, not much time for baking. 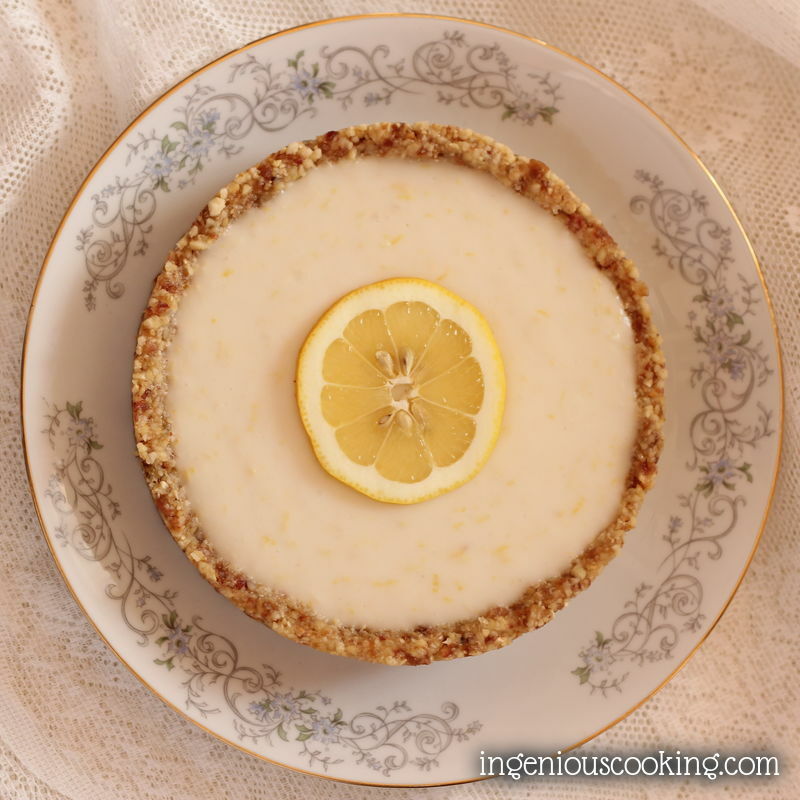 Hence, no-bake lemon pie. 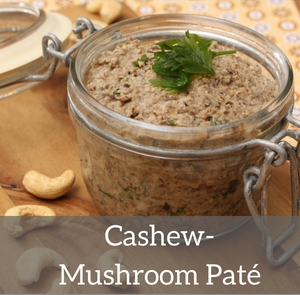 For the crust, roast cashews in a sandwich grill or a dry pan. 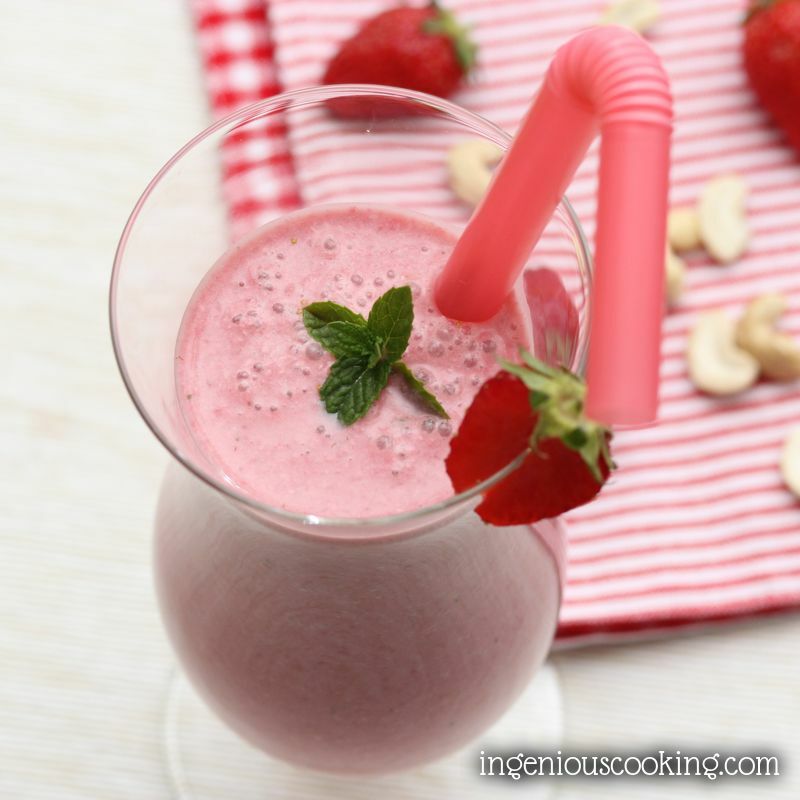 Put dates and cashews in a food processor, mix until smooth. 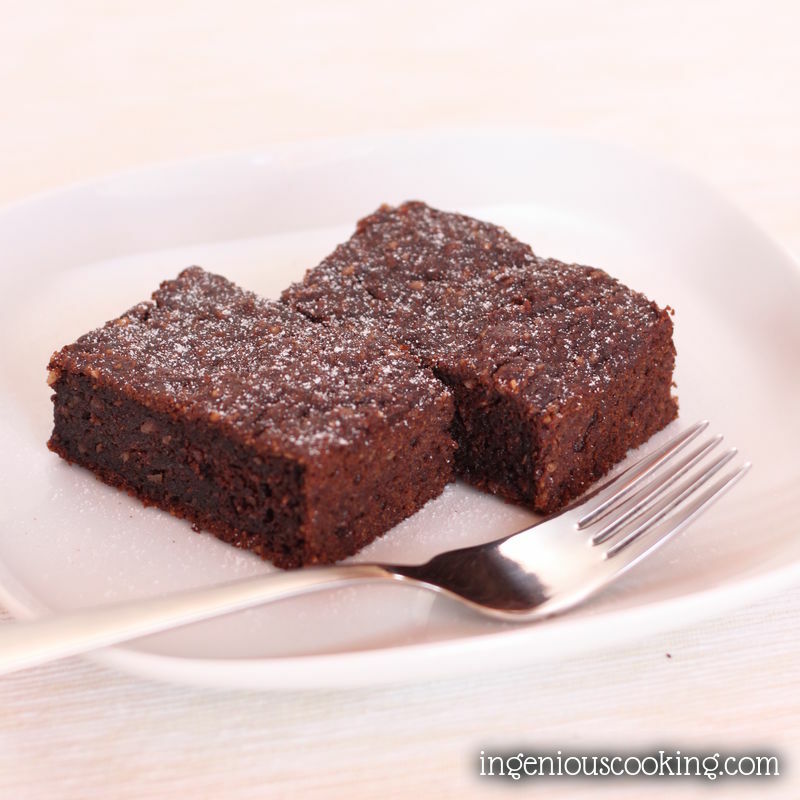 Boil xylitol with 4 tablespoons of lemon juice, add to cashew-date mixture: pulse again and press this sticky paste into cake pan. Mix tapioca starch and agar-agar powder with approx. 100 ml milk, set aside. 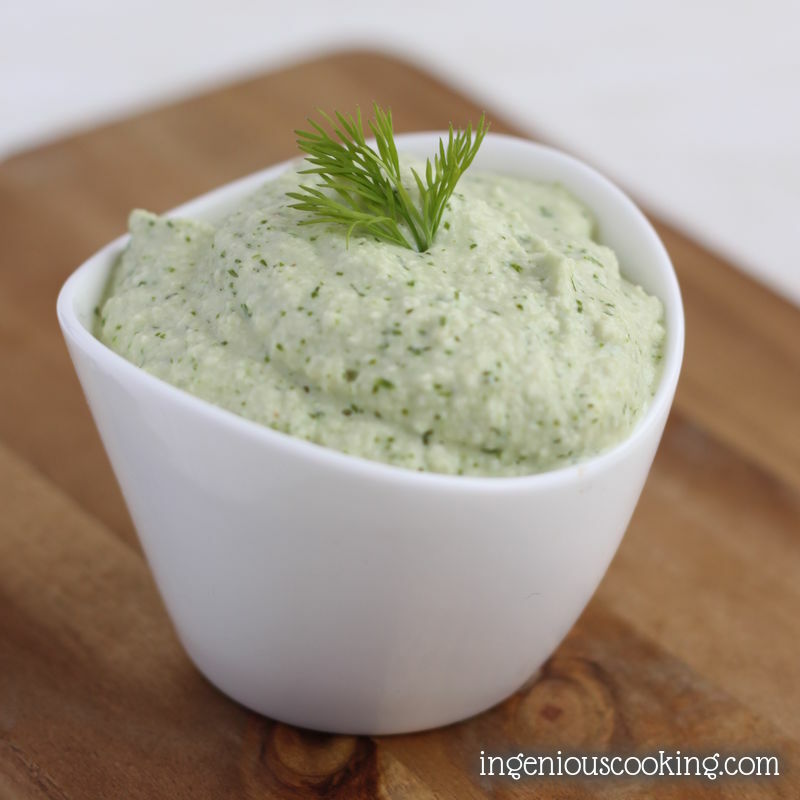 Mix remaining ingredients of curd in a sauce pan: coconut oil, remaining milk, stevia powder, lemon zest and juice, lime juice. Boil curd while continuously whisking and add starchy mixture: once it starts to thicken, take off heat and whisk a couple of times. 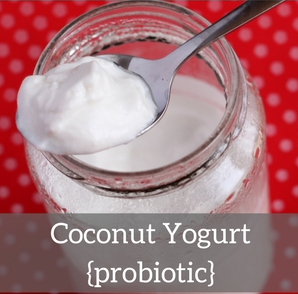 Once the filling has cooled, pour it into the crust and put in refrigerator for at least 4 hours for the curd to set. 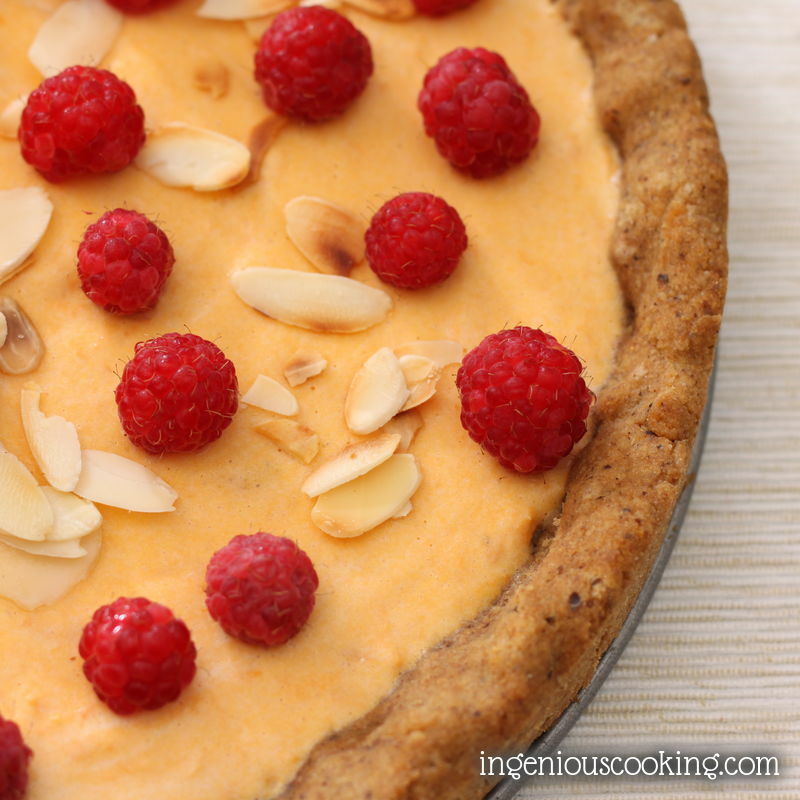 I liked about this filling that once it set it was sliceable, and still very soft and creamy. 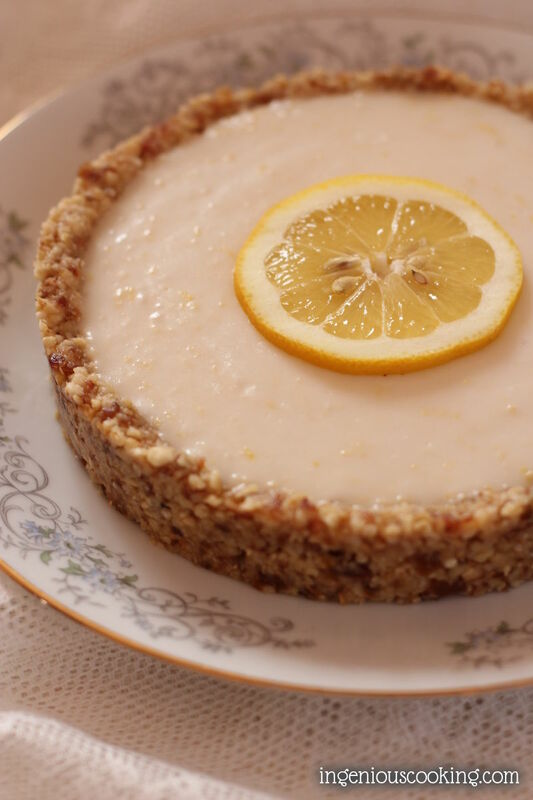 While making the filling, I recommend a taste check: I used to drink up lemon juice just like water when I was a kid, so this might be a bit too sour for some folks. 🙂 For me, this recipe had just the right balance between sweet and sour: hubby said this was one of my best desserts ever! Let’s talk numbers. 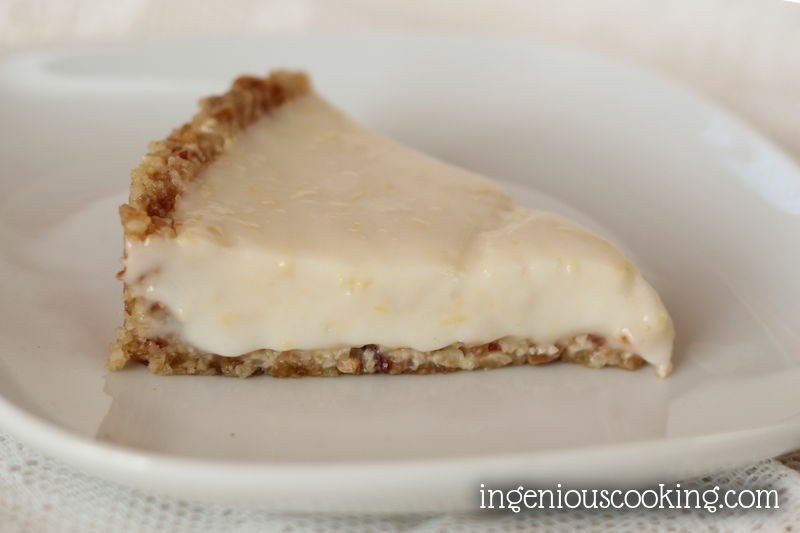 The crust contained 120g, the lemon curd 40g of carbs, with 8 slices, that makes 20g CH/serving. Dried dates contain quite some natural sugars, but I think their absorbtion is going to be pretty slow because of the oil content of the nuts. However, if you’d like a crust lower in carbs and absolutely sugar-free, I recommend using my hazelnut shortbread cookies as a crust: the original recipe halved would contain approx. 50g of carbs. 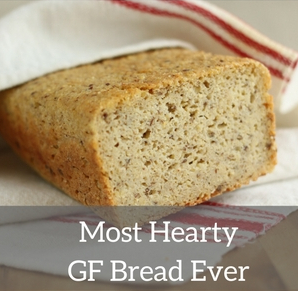 This recipe was shared at Allergy Free Wednesdays and Gluten Free Wednesdays. I don't know how to convert the Grams to tablespoon/tsp or cups. Could you provide the recipe other that in grams? I sure would appreciate it! Thank you! I'm glad your friends convinced you to blog in English — now I can follow along too! 🙂 Happy blogaversary! This pie looks delicious! May I use gelatin in place of the agar, since I don't need it to be vegan? Sure, gelatin would work just as fine. I'm sure you'll love it! Stevia gives me terrible stomach pains. Can I use a different sweetener? Never mind. I reread a while later and it is there. This is what happens when I leave my reading glasses at work. I'm glad we cleared that. 🙂 Thanks for stopping by and hope to see you around here! Sorry to hear that. Usually people complain about its aftertaste, this is new to me. I think in this case you can use any sweetener you like, just make sure to have a taste check of the filling. 🙂 Hope you'll love this dessert as much as we did! Am I missing something I feel like I don't see the measurements lists for the amount of lemon juice and zest? It's the first line below "ingredients", somewhat distant from the other ingredients, I see. It's juice and zest of 1 organic lemon (mine weighed 200g, by the way). 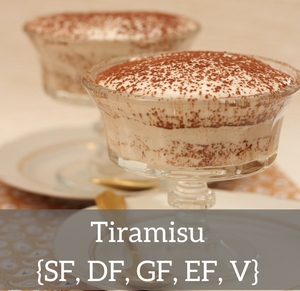 I hope you'll like this dessert and thanks for stopping by! Can you use something ither than xyltol? I have furbabies & i don’t need them getting it if i spill some. Sure, maple syrup would also do just fine. Just a tiny bit of lime juice to add some tartness. I’m sorry about your experience! Could you tell me exactly what went wrong? Sorry for my late response I couldn’t find the resources to keep this site going for some months now. The recipe should still work as lots of readers of my other blog have enjoyed this so let’s see if there’s a solution to your problem!